Both long and short stems included. For the St. Patrick’s Day 2019 line, Peterson has dressed some of their most iconic shapes in their signature, deep emerald green stain, accented by a military mount of flashy nickel. It makes for a dress pipe-like, formal theme but one with clear Irish roots. Adding to that, this is also the first time Peterson has offered their proprietary System drilling in this celebrated, annual series — presented here in the “305” Bell/Calabash, a shape that’s as synonymous with Peterson as the finish it’s wearing. 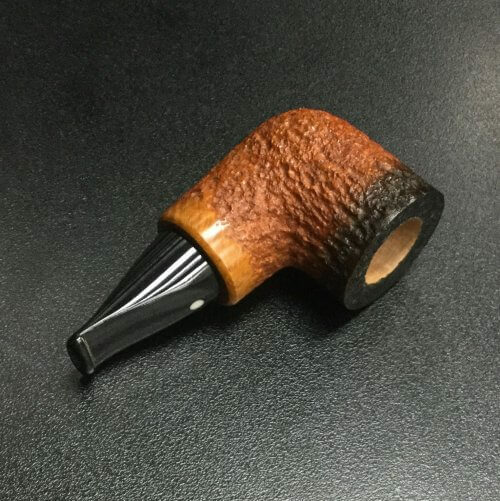 Darkened bowl over Chestnut colored briar, black stem with Sandblasted finish. 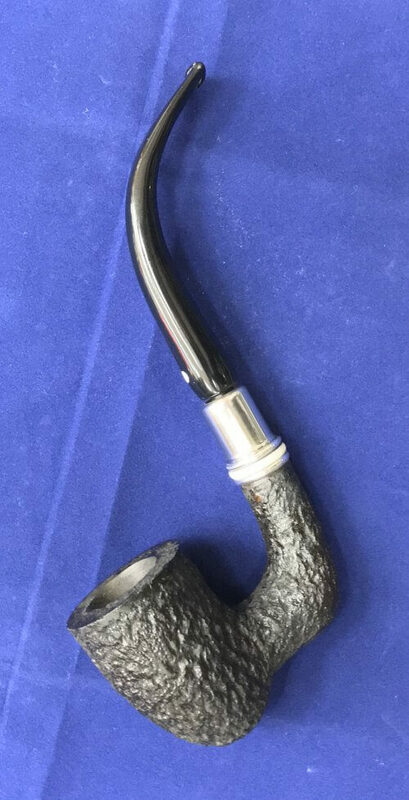 Short and stocky unique Italian Pipe.